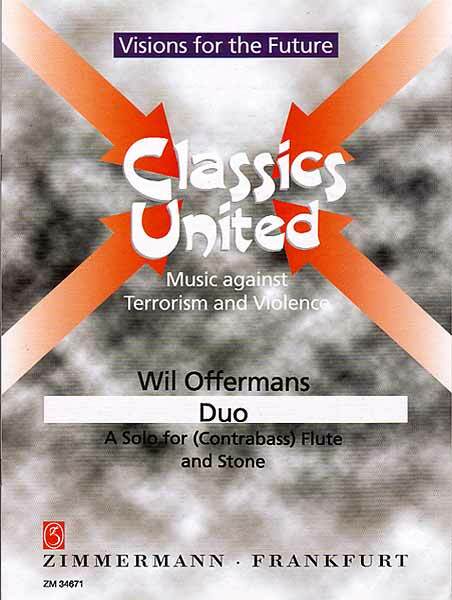 Duo - a solo for (Contrabass) Flute and Stone, is a composition by Wil Offermans as a reaction to the terror attacks in the US in 2001. A stone should be placed on the stage, like pretending an interacting duet. 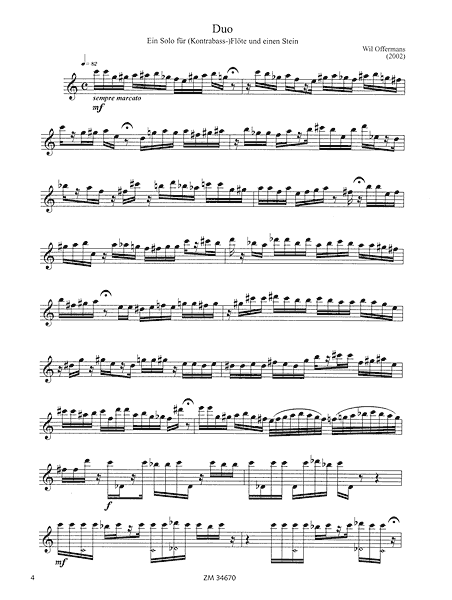 From the score introduction text: "Acts of terror, how can we understand? In a search for an answer, we pray to the gods or turn ourselves towards the mysteries of nature. We feel the wind, touch the water, watch the starts and listen to the earth". 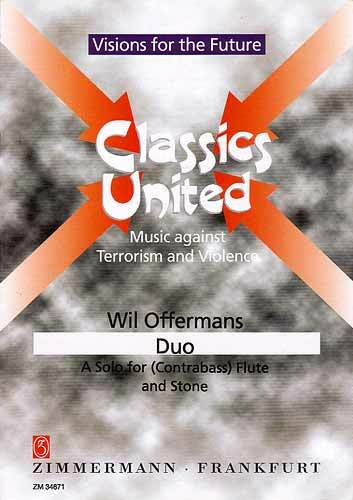 About the series Classics United by Zimmermann Frankfurt: "... With Classics United we want to take a stand against violence, terrorism, expulsion of ethnic groups and war...". 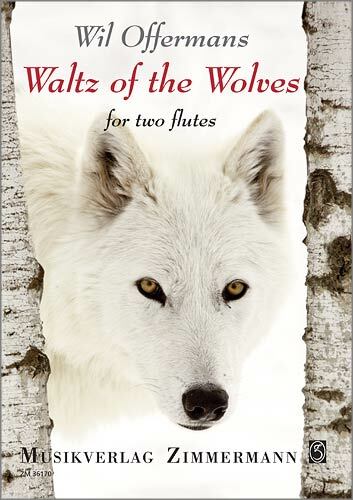 instruments: 1 contrabass flute (or flute, alto flute or bass flute) and a stone.